If you are looking for a Florida business plan writer then you have reached the right location. 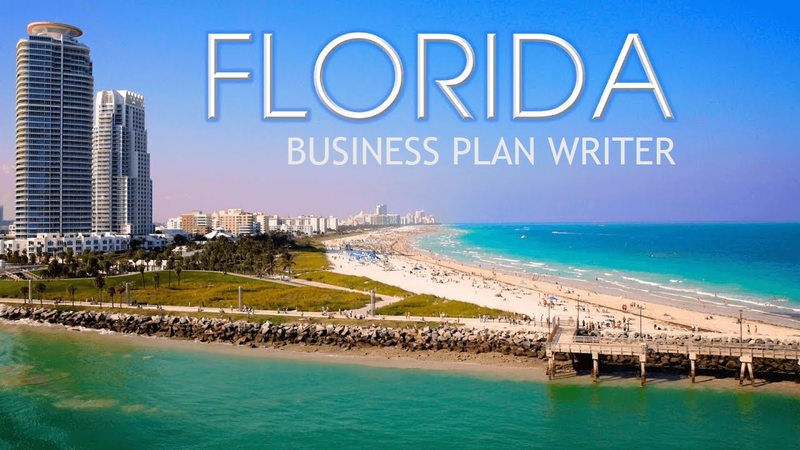 I have written hundreds of business plans for Florida residents and I can help you develop your business plan. Regardless of whether you are in Miami Beach, Sarasota, Daytona Beach, Fort Lauderdale, Orlando or anywhere in Florida, I'm here to help. My business plan writing services are cost-effective & timely. My Prices range from $350 and up and the turnaround time is a standard 7 days. Faster turnaround times available. Also, payment plan options are available on all business plan writing services. I am not like a business plan writer that you can find on a free classifieds website, I'm a full-time business plan writer. Moreover, I'm a professional. I have Wall Street experience, graduated business school and Law School and have helped hundreds of clients. If you were searching for a Florida business plan writer then look no further. I'm your guy! As a full-time business plan writer you can find me in my Florida-based offices in Miami and Daytona Beach. I do offer business plan writing services virtually when I am not in my Florida-based offices. Getting ahold of me is easy. The fastest way to get ahold of me is to text my cell phone at 203-685-0346 or email me at CervitudeNetwork@gmail.com or call my cell phone. If you call my cell phone, please leave a message as I am probably working on another business plan or forming a business for a client. Then I get answers to my standard business plan questionnaire. You may fill out this questionnaire beforehand and send it to me to speed up the process. If not, I simply have a phone call with you to get the answers myself. This is our first consultation. We have a third consultation to go over any revisions that are needed and to make sure you are happy. You have 7 days to come back to me from the time I deliver the final plan for any reason to revise the business plan. That's it Florida! That's the process. I like to keep it simple for my clients since many entrepreneurs and executives are super busy. From Miami-Dade County to Palm Beach County I am the Florida business plan writer you're looking for. Regardless of whether you are in Fort Myers or Boca Raton, or Tampa Bay or Jacksonville, I am the business plan writer you are looking for. Contact me today with any questions. P.S. I can also form your Florida LLC or Corporation.